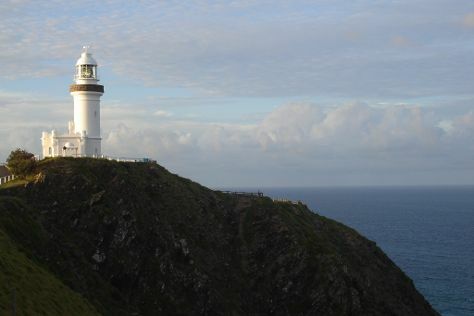 Explore hidden gems such as Ballina Naval & Maritime Museum and Wategos Beach. Next up on the itinerary: stroll through Cape Byron Walking Track, take in the exciting artwork at Hammer and Hand Byron Bay Jewellery and Metal Collective, indulge in some personalized pampering at some of the best spas, and let the kids burn off some steam at Crystal Castle & Shambhala Gardens. To see traveler tips, ratings, reviews, and tourist information, read Byron Bay day trip planning website . Christchurch, New Zealand to Byron Bay is an approximately 7-hour combination of flight and bus. The time zone difference moving from New Zealand Standard Time to Australian Eastern Standard Time (New South Wales) is minus 2 hours. Traveling from Christchurch in August, things will get a bit warmer in Byron Bay: highs are around 25°C and lows about 8°C. Wrap up your sightseeing by early afternoon on the 9th (Fri) to allow time for travel back home.